Scott US #C67(12July1963), 6¢ bald eagle, untagged. 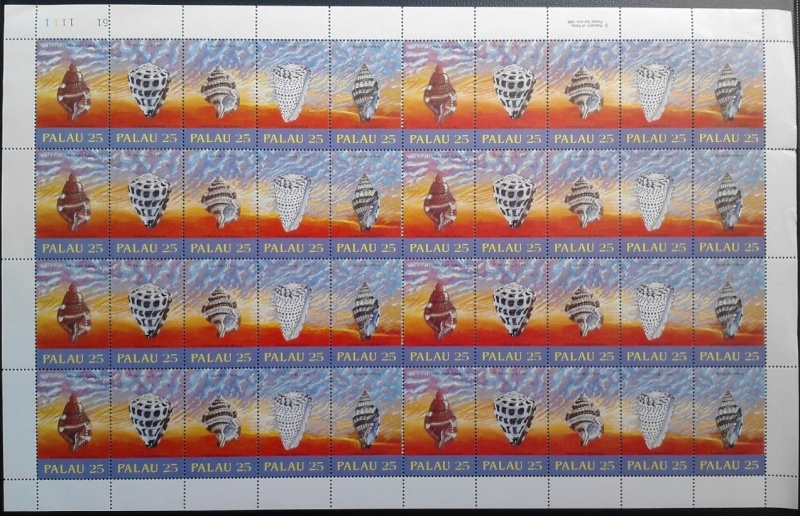 Scott Palau #216a(12Apr1989), 5x25¢ seashells. Scott US #C69(5Oct1964), 8¢ Robert H. Goddard. 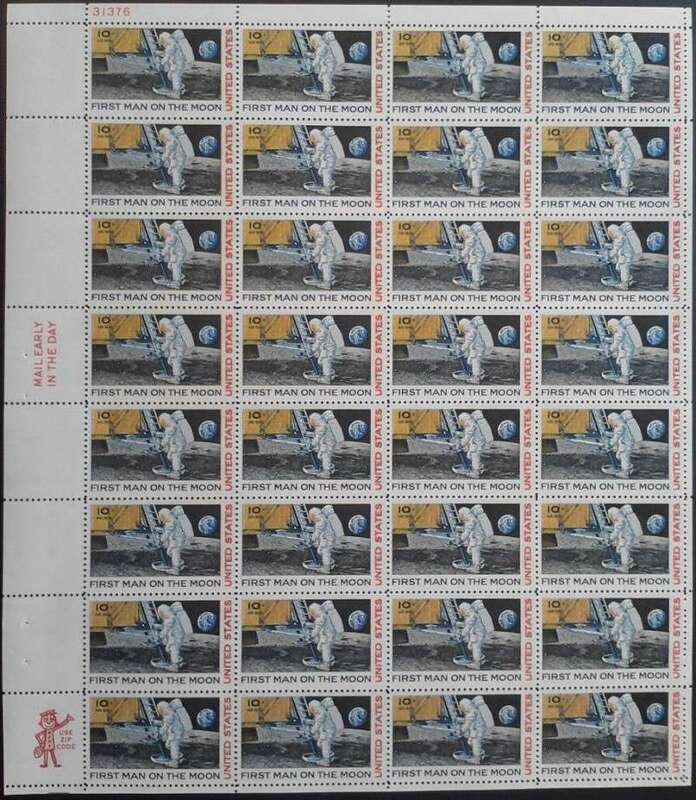 Scott US #C76(9Sep1969), 10¢ moon landing. 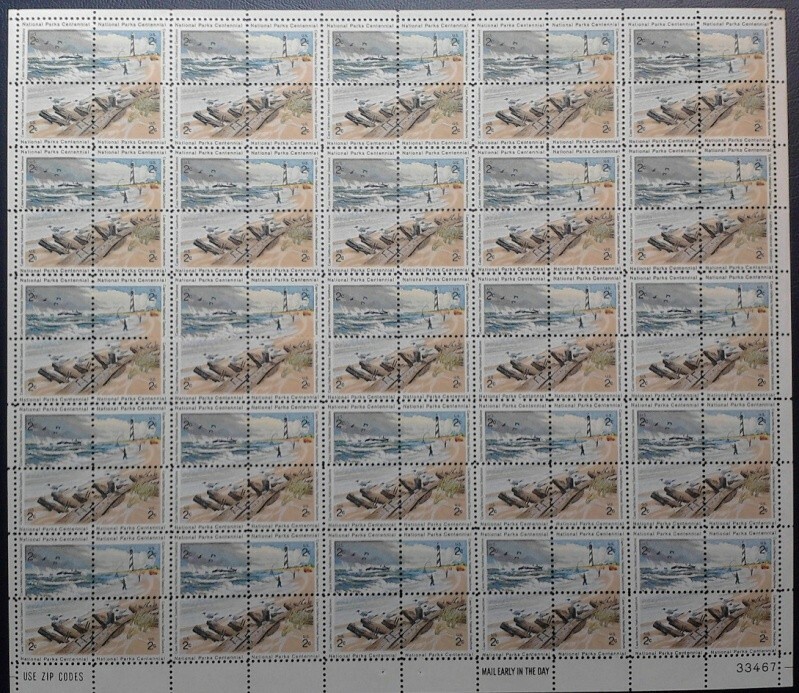 Scott US #2448-2451(5Apr1972), Cape Hatteras National Seashore. Kim those are sheets. A plate is all four sheets. It takes all four sheets in sequence to make up a plate. I think the Plate I have has 400 or 800 stamps in it. I would have to look and I couldn't get a full plate on a web site in one photo anyway. I would have to do it one sheet at a time. I'm on my Lap-Top and it's not hooked to a printer.My MAC in my Family room is though. 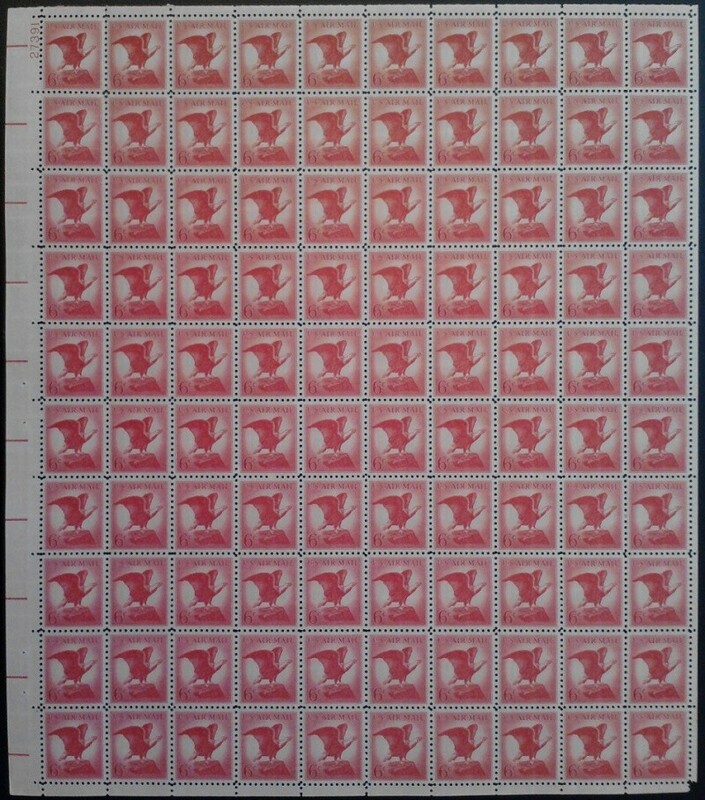 Can I scan them direct into Stamp Bears or do I have to go through another server? I'll have to go look on the MAC at the servers I use. I don't even remember their names. Ok I have used Imageshack and Photobucket. I have photo album at both places. Kim those are sheets. A plate is all four sheets. It takes all four sheets in sequence to make up a plate. I think the Plate I have has 400 or 800 stamps in it. Actually, all the pics in this thread are PANES, not SHEETS. Although it is pretty common practice among collectors to call them mint sheets. But when talking about the original press sheets, you have to use the proper terminology and call each section a pane (this is what you buy at the post office). That is why I called this thread "No Pane..." On the first page of this thread, please see Mr. Gordon Lee's 2nd post regarding panes vs. sheets. For this issue, 4 panes make up the original full press sheet. You probably should avoid referring to the press sheet as a plate -- that word is usually used when talking about the actual printing plate, the plate number, or shorthand for plate block. Among classic collectors, the phrase "reconstructing a plate from singles" is also sometimes used. 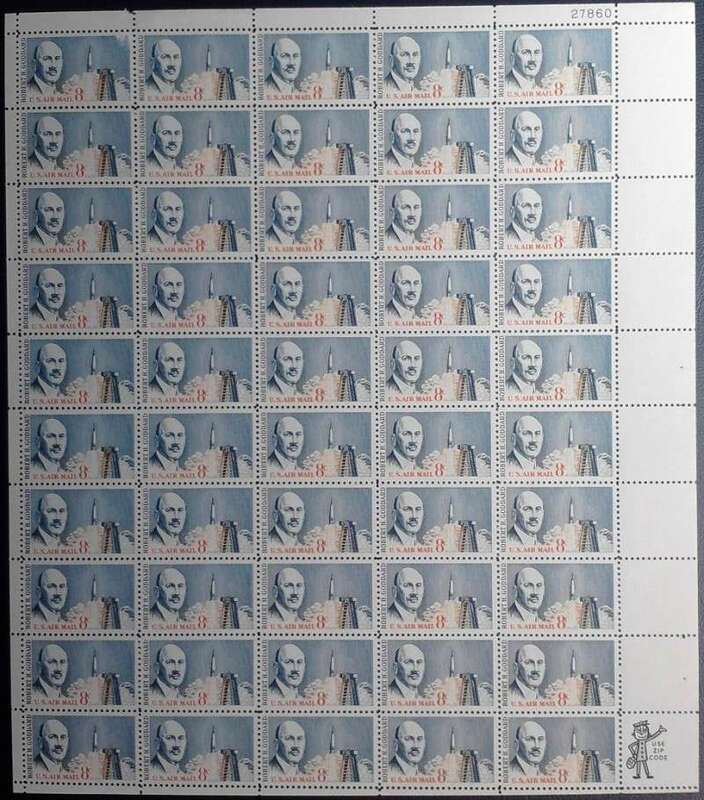 But the phrase is usually not used for modern stamps. That's what I was confused by what you were asking for. What you have done is found 4 panes to reconstruct one of the press sheets. Did I succeed in confusing everybody? So tell me, is this one a press "sheet" or something else? This is what I think of when I think of press sheets. 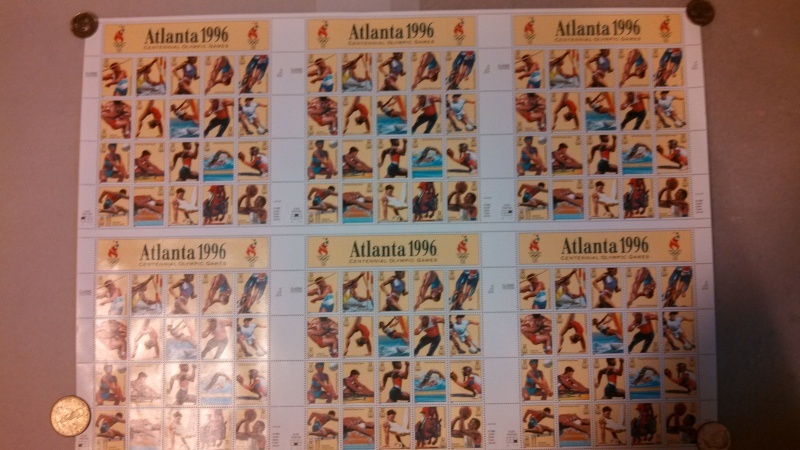 edit: Incidentally, this is Scott #3068 from 1996 issued for the Olympics. Yes, Zepherusbane, that is a "press sheet". USPS began selling press sheets to the general public again in the 1990s. In your example, the press sheet is composed of 6 panes. The term "press sheet" was there in the past, but in the (g)olden days, the "press sheet" was simply called "sheet". But since a LOT of collectors and supply manufacturers like to call the panes as "mint sheets", everybody began to call the uncut sheets as "press sheets" in the 1990s to avoid confusion. Normally I don't make a big deal about differentiating between panes and mint sheets. I've used the term mint sheet plenty of times. But when talking about the full uncut sheet (i.e., press sheet), you have to make the distinction to avoid confusion. Nice press sheet, Zepherusbane! I love your corner mounts!!! Not me Kim I was just ignorant to all that info. By the way each of the four Panes have the numbers in order too. So just any four panes don't make up a Press Sheet. Does that sound right Kim? I'll try and remember all that information you passed along. I guess I better bookmark this page for future reference and correct terminology. We might as well learn the correct terminology and maybe educate new collectors as well. I know when I was calling them wrong it was confusing to me as to what to call them . To differentiate the difference. I did know some Press Sheets are made up of four Panes and some Six. I don't know if there are any that take more Panes than six or not. I doubt it, but someone might know. Thanks Kim for your help. Not to worry Chuck. You just have to get used to the fact that not everybody uses the same terminology. The trick is to figure out which definitions another collector or dealer is using. I won't even get into "what is mint" terminology problems! To reconstruct a press sheet, the panes have to have the same plate number. The Durland Plate Number catalog has a checklist of every single plate number and position for all the US stamps. Depending on the layout of the press sheet, the plate number may be on opposite sides (2 pane layout, combination press...), adjacent sides (2 pane layout), rotating corners (4 pane layout)... On modern press sheets, the plate number location on each pane is identical; pane position can be distinguished the pane diagram in the selvage (in Zepherusbane's Olympics press sheet, see the lower left corner of each pane for the pane diagram). On modern press sheets that don't have the pane diagram, sometimes it's possible to identify the pane position by perforation configuration. I don't have these things scanned, so I can't post examples. Sorry. The largest number of panes in a press sheet that I am aware of is 14 (not counting souvenir sheets). But I am open to correction on that as I no longer comprehensively collect modern US. The 14-pane layout is typically for the modern small definitive panes of 20. 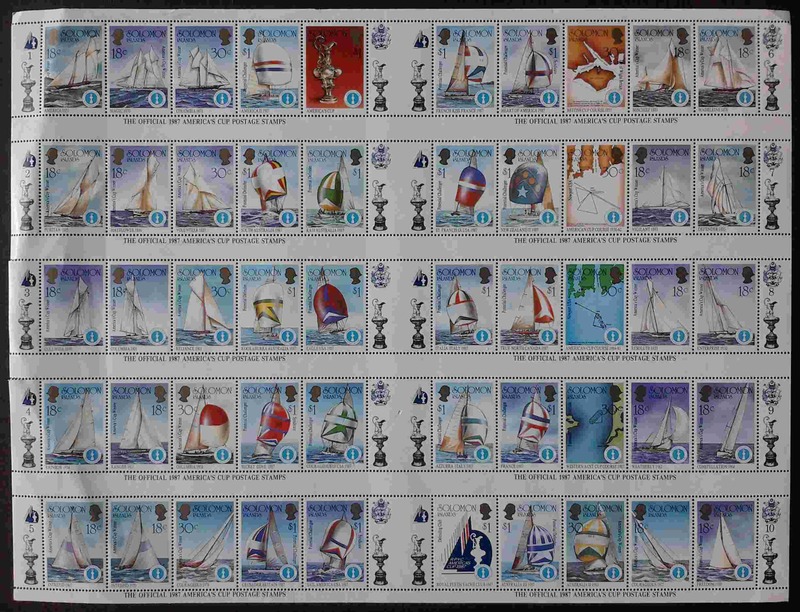 The modern commemorative panes of 20 are typically 6- to 10-pane layouts. Before the turn of the century, most BEP stamps were in 4-pane layouts, with the earliest stamps in 2-pane layouts. There actually exists 2 press sheet configurations of 4-panes, in which 2 or more DIFFERENT stamp issues were printed together in separate panes of the press sheet. That idea was quickly rejected after the 2 trial print runs. I've always wanted to reconstruct those press sheets, but never got around to doing it. Two of the stamps are modern airmails, so the face value of the panes is not trivial. Khj I think I got it. What your saying. That is getting pretty technical. But if one wants to be correct you have to know or find out. I borrowed the Durland Plate Number catalog from a Dealer friend I know that lives about 80 miles north west of me. I was looking for something else then but I don't remember what I was looking for now. 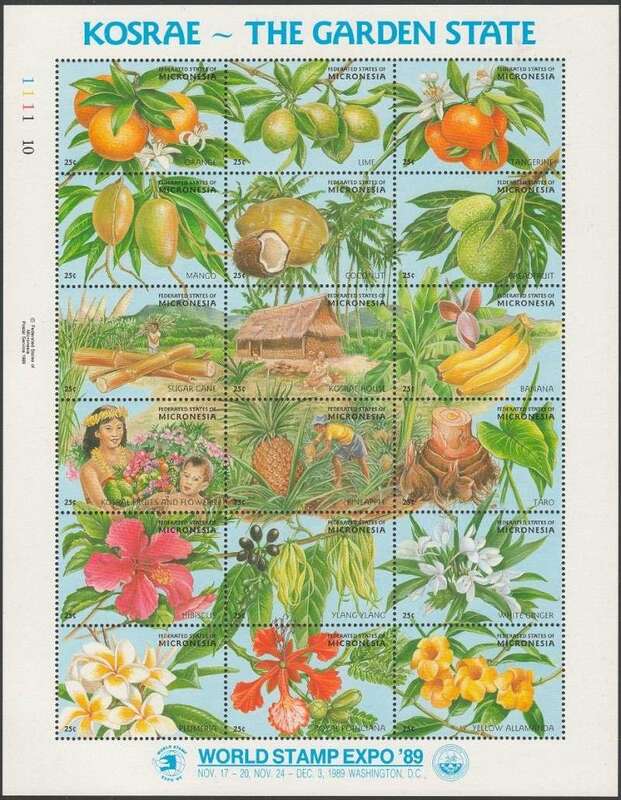 Scott Micronesia #103(18Nov1989), fruits and flowers of Kosrae, also World Stamp Expo ’89. 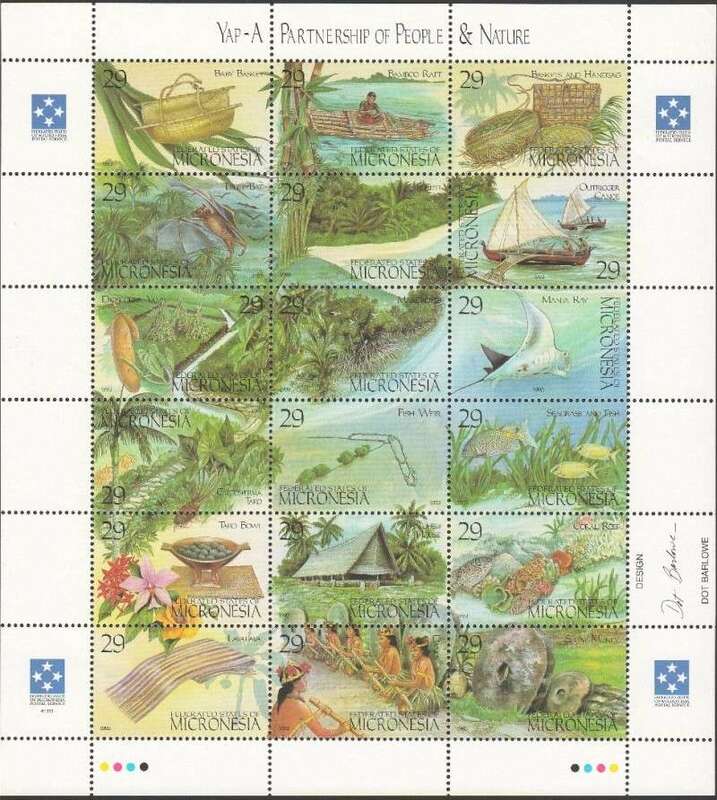 Scott Micronesia #186(15Dec1993), Yap culture.